In 1803, the chief justice of the United States had a problem. His hated cousin, Thomas Jefferson, had won the last presidential election. But the outgoing Federalists opted not go gentle into that good night. The one branch of government they controlled was the judiciary, and they meant to keep it. They had passed the Judiciary Act of 1801, which allowed for several new judicial appointments. President Adams did a remarkable job filling the appointments and getting them hastily confirmed. The so-called “Midnight Judges” by and large received their commissions. But not all of them did. Incoming President Jefferson then instructed his secretary of state not to deliver the remaining ones. Unsurprisingly, litigation ensued. One of those who was to receive a commission, William Marbury, filed a petition directly in the Supreme Court under a provision of the Judiciary Act of 1789. He requested a writ ordering the secretary of state to deliver his commission. But Chief Justice John Marshall was a staunch Federalist. The republic was young, the court’s legitimacy fragile, and the ability of the nation to endure the peaceful transfer of power between parties uncertain. It was also unclear how Marshall’s ordering the newly installed Jeffersonian Republican secretary of state to do something would go over. 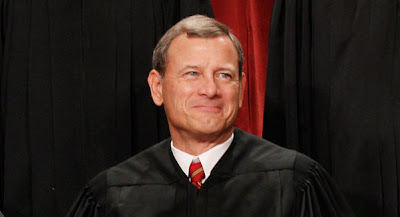 So the chief justice did something very clever. He found that Marbury was entitled to his commission, bestowing legitimacy on those Midnight Judges who had received theirs. But he didn't stop there -- to Marbury's detriment. He then ruled that the Constitution only gave the court so-called “original jurisdiction” over a small number of cases. The provision of the Judiciary Act of 1789 bestowing the court with original jurisdiction over writs of the type Marbury sought was therefore unconstitutional. Jefferson had won, nominally. Madison didn’t have to deliver the commission, Marbury didn’t refile in the lower courts, and he never became a justice of the peace. But history remembers the case as a huge, perhaps decisive, blow against those Jeffersonians who viewed the Constitution as nothing more than a glorified Articles of Confederation. In depriving the court of original jurisdiction, Marshall had installed the Supreme Court as the ultimate arbiter of the constitutionality of laws. Jefferson hated the idea of what has become known as judicial review. But having won, he was powerless to act against Marshall. Over the course of his term, Marshall would use that power to increase vastly the powers of the federal government, and to diminish those of the states.